A gluten-free Belgian-inspired Saison made with sorghum. Lightly spiced with a crisp hoppy finish. 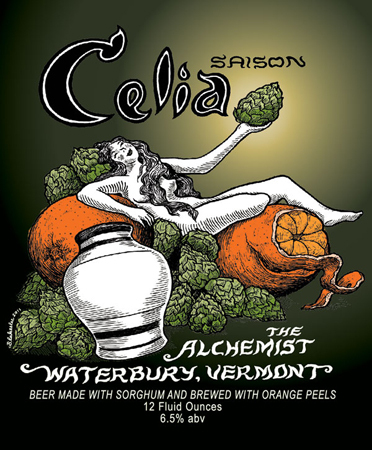 Celia Saison" Is inspired by the rustic farmhouse ales of Belgium. The spicy flavor of the sorghum is complimented by the unique characteristics of our Belgium yeast, and additions of Curacao orange peel and Celia hops.